Better known as The Midland Red. 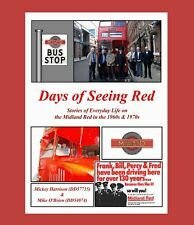 will let you f ind out what it was like to be 'on the buses', on the Midland Red. Or maybe you were 'on the Red' yourself. This is an A4 (approx size) book with a glossy soft cover and approx 96 pages. READING THE TEXT IT SEEMS TO DATE FROM 1950. Leyland Bus. Plan/drawing Heating/ventilation. London Transport. 1966. Condition is Used. Dispatched with Royal Mail 1st Class Large Letter. An extremely rare example of this genuine drawing from Smiths Industries motor accessory division in Witney from 1966. A large scale drawing ( 4x3 ft.)outlining the heating, ventilation and demisting system for the Leyland International bus for London Transport. IAN ALLAN abc LONDON TRANSPORT BUSES AND COACHES DATED NOVEMBER 1950. Including Standerwick Coaches. Ribble as it was. Ian Allan - ABC. Buses and Coaches. About 100 buses underlined. 'Buses of YARM'. Fourth edition 1956. Ideal for identifying photographs. 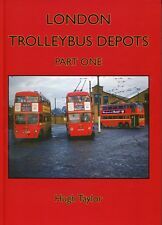 It features a review of the National Greenway, the Drawlane-inspired rebuilding of elderly Leyland Nationals by East Lancs following the initial prototype built by London Country. Alexander bus body serial number plate 1088/6. Aluminium 150mm x 50mm. Softback 27 pages plus map. 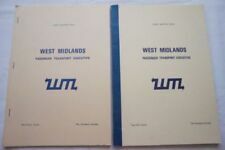 Midland Red & West Midlands Passenger Transport Fleet List Bundle. Shadows Of West Yorkshire Book On Buses. Condition is Used. Dispatched with Royal Mail 2nd Class. The PSV Circle North Western News Sheet Bundle 1967. The PSV Circle South Eastern News Sheet Bundle 1959. 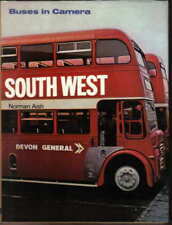 LONDON TRANSPORT VEHICLE HISTORIES, RT 952-2046 Book. This book covers the vehicles with the bonnet numbers starting with 952 and finishing with 2046. It gives the dates from new and what happened to them but in codes, they could be depot codes but being a woman, i don't have a clue! The PSV Circle South Eastern News Sheet Bundle 1969. Leyland Journal Magazine Bundle, 1959 & 1960. Txzj pxzj37833 txzj-11 txzj95 txzj115 txzj117. YOUR PATIENCE IS APPRECIATED. The PSV Circle London Area News Sheet Bundle 1955. London & Suburbs: Everybody's Bus & Tube Guide: 1920s? A small booklet, size approx. Entitled 'Everybody's Bus and Tube Guide to London and Suburbs'. It contains 32 pages, and gives information on buses and underground trains to take to particular places in London. 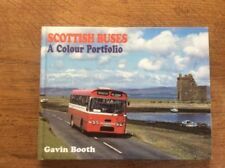 Bus & Coach Magazine Bundle 1960's. The PSV Circle South Eastern News Sheet Bundle 1968. The PSV Circle South Eastern News Sheet Bundle 1967. The PSV Circle Scottish News Sheet Bundle 1960. 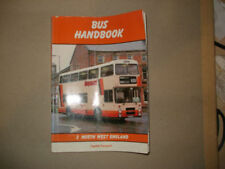 North And West Midlands Bus Handbook. 1996. Condition is Used. Dispatched with Royal Mail 2nd Class Large Letter. A very good copy throughout with no underscoring of any kind. The PSV Circle South Eastern Area News Sheet Bundle 1958. The PSV Circle South Eastern News Sheet Bundle 1966. The PSV Circle London Area News Sheet Bundle 1953. Good condition, with slight wear to covers (see photo). 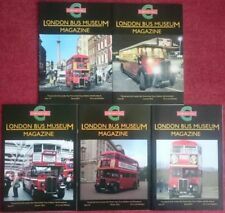 London Omnibus Traction Society Magazine Bundle 1970's & 1985. The PSV Circle Western News Sheet Bundle 1969. AEC Gazette Magazine Bundle, 1962, 1963, 1964. The PSV Circle South Eastern News Sheet Bundle 1970. 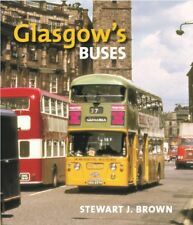 Midland Buses 1950-1969 by A F Porter Pub. Ian Allan 1985. Condition is Used. Dispatched with Royal Mail 2nd Class Letter. First class condition copy with only minor fading to the extremities. 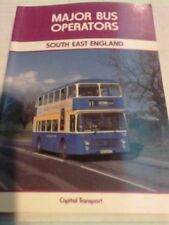 PRESERVED VEHICLE HANDBOOK BUSES and COACHES and also TAXIS by Keith A.Jenkinson book printed in November 1985 Condition is Used and in good condition has not been marked Dispatched with Royal Mail 2nd Class. The PSV Circle Western Area News Sheet Bundle 1957. All complete but a bit tired round the edges hence low starting price. Maidstone & District and East Kent Bus Club Magazine Bundle 1990-1993. Fleet History 1979 bus coach transpor. In pretty good condition. The PSV Circle Southern Area News Sheet Bundle 1953. It contains 27 pages (size approx. ). Buses. The Leyland Man. Mike A. Sutcliffe. Signed 2003.